What appear to be early benchmarks of the iPhone XS have appeared on Geekbench, giving a rawer view of the device's specifications than those offered by Apple. The listed phone's A12 Bionic chip is clocked at 2.49 gigahertz, a relatively small boost over the 2.39 gigahertz of the iPhone X's A11. 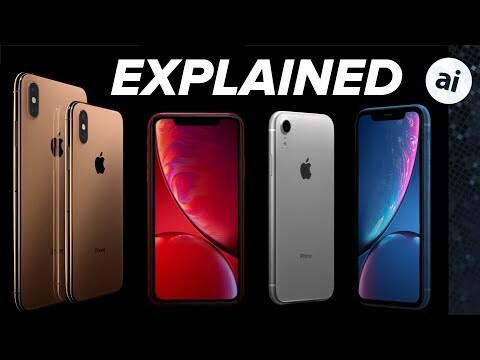 The XS does however have four times as much L1 cache memory, 128 kilobytes, and about 4 gigabytes of RAM, at least on the tested configuration. As it's only labeled "iPhone 11,6," it's not certain whether the device is an XS, an XS Max, or possibly even the XR, assuming the entry is authentic. Comparisons with the A11 suggest the A12 may actually perform slightly worse in multi-core benchmarks, but over 500 points faster in single-core. In real-world situations the A12 is likely to be universally faster, taking advantage of things like its updated Neural Engine for machine learning tasks. Apple typically leaves detailed numbers out of its "tech specs" pages, preferring to sell people on broader metrics and individual features instead. The company also counts on self-designed silicon and optimized software to provide a smooth experience. Preorders for the iPhone XS start on Friday ahead of a Sept. 21 launch. Orders for the XR will only start on Oct. 19. Very few people today care about what is inside. People stopped check list buying habits a long time ago. Only the geeks care and even then it really does not matter on an Apple product what is inside. People just look at the overall experience and call it a day. disagree - I think even casual users have become more hip to the specs and upgraded internals are a selling point not just for geeks. Since the specs don't reflect real world performance, you're suggesting that casual users have become more "hip" to useless information. I might have to agree. I am hip and pure specs are not meaningful to me. The overall performance of using a device matters more than anything. You can have a machine run at a measly 500 Mhz and still offer great UX thanks to optimizations. And it's no secret that Apple optimizes its software for its own hardware. CPU , GPU speeds and RAM mean little these days if buying the top end iPhone. You know it will be blindingly fast. Just like the X still is, and I doubt anyone will notice a difference going to the XS/XR variants. Would be odd though (and headline grabbing) if for some things it was slower than last year's top model. "Specs is all that matters! Humph!" "Well, that's not real world performance though...."
I think amount of RAM matters quite a bit. It is the one spec that can go a long way towards improving the longevity of one's iPhone. Absolutely RAM matters. I had an original iPad Air with 1GB RAM and the experience was awful. Especially in Safari. Tabs would constantly be refreshing. With my iPad Pro and 4GB RAM that rarely happens. If I'm reading between the lines right on specs, it seems that the XS series have 4x4 MIMO but the XR does not, and Cat.16 LTE as opposed to Cat.12. Correct? That would imply both better reception and higher bandwidth. It wouldn't matter much if no new features were added but as Apple expands capabilities, demands increase. These specs do represent real world performance. If the A12 was clocked lower the device would be slower. If the device had half the RAM the device would be slower for anything that required more caching. What can't be determined is looking at two disparate chips from different vendors and determine which one has faster real world speeds based on looking at just clock speed, RAM, or other very simple and incomplete specs. I agree with @maestro64 that the vast majority don't care about this stuff. On top of that, I'd argue that the vast majority that do care don't know enough to understand just how many parts need to be considered to get a solid understanding of the SoC. I'll be honest, I read AnandTech and love getting into the in-depth reports of their chip analysis, but I'm still very much a layman. I had the original iPad with 512 256 MiB RAM. It's the only Apple device I had that would refresh a tab when you went back to it which was really annoying when trying to fill out a form and looking at another tab or app to get information for that tab you're typing in. Someone did some in-depth analysis that showed that iOS for the original iPad could handle more with that RAM but that it was programmed not to (as I recall), but I couldn't find that 7(?) year old article. Not mentioned thus far is the size of the permanent storage, we have 5 iPads around the house and the two iPad Airs with the minimum 16 GB storage are next to useless for anything but Mail and Netflix, really bad buying decisions on my part. Glad to see Apple is making all iPads with a 32 GB minimum SSD these days. Hmm, a 5 trillion ops per second neural engine... could this be the first smartphone that gets faster as it ages? As it learns how to best utilize its CPU/GPU cores for standard app usage and perform ML tasks more efficiently within the ML cores? A Trojan horse, of sorts. Specs are always useful for those with the intelligence to understand them. Beyond that information is seldom useless, it will have value for somebody. I have to disagree completely here. Neural Engine is running 8 -9 times faster thus the average user will easily notice when ML based software is running. The fact that Neural Engine no off loads ML loads that where going to the GPU means the GPU is now free to do its thing. Just those two things will result in noticeable improvements. People talk about the Mac one day having an ARM processor but I wonder if, as an interim step, Apple could start using their own GPUs in Macs (while still having an Intel main CPU). Nobody I've *ever* come across has said to me: I've got to upgrade because the new iPhone now has 6 cores and runs at a much faster 2.49ghz. Not once. They upgrade because they feel their TouchID (or FaceID) was a tad slow or because they ran out of storage or because a friend's photos are better than theirs. I guess, despite being a geek myself, I don't hang out with geeks or folks that are "hip to the specs". I thought it was RAM but now I am thinking it's the Safari itself, not RAM. I get that a lot on my iMac. It would warn me its running out of memory and refresh. And here's the thing... I have 64 GB of RAM. I checked the Resources and it was not leaking or using up RAM.